Many of us use tea towels daily in our lives. It is the fastest way to dry our dishes and cups in such a fast-paced world. But after certain food poisoning incident, should we take more care with how we use them? Earlier this week, the BBC reported that E.coli was more likely found on towels used for multiple jobs. This could be things such as wiping utensils and cleaning surfaces. It is true that bacteria can accumulate on towels. But the bacteria found on the tea towels are not responsible for food poisoning. The research conducted by a study that was help by the University of Mauritius. They handed out 100 tea towels to study participants; 36 had a mixed cotton and nylon towel, 33 were pure nylon and 31 were pure cottons. After a month, the towels were gathered and tested for bacteria. It was found that there was bacterial growth in 49% of towels. And the growth increased significantly with increased family size and the presence of children. That being said, it is important to use a tea towel in the correct manner. The towels needs to be frequently washed and dried out properly in between uses. Do you need to change the habits you have in using towels at home? 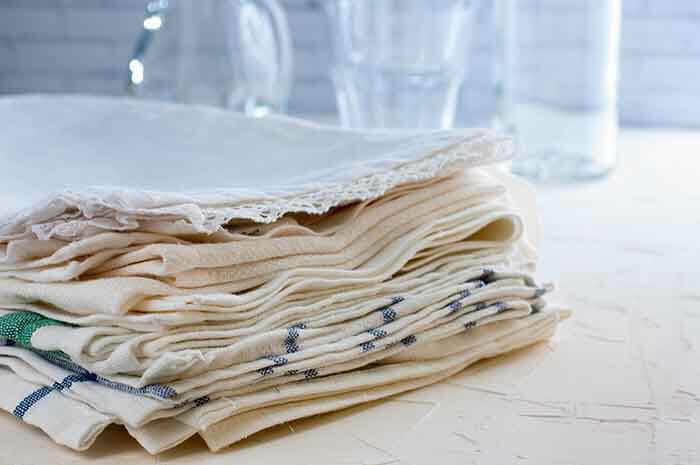 What are new habits you can adopt to improve the cleanliness of tea towels at home or at work?